… just keep working. Don’t give up! When I pull one of my crochet pieces out of my bag, the yarn often snags and stitches slip out one – by – one. I usually catch it before too much damage is done. But sometimes row after row falls apart before I realize it. Take it to the one who untangles. The one who puts our pieces back together. Posted in Uncategorized and tagged knitting, Psalms 139, untangled. Bookmark the permalink. I almost called this School in the Tub. Because that’s what we did. Until the book fell into the water. Don’t worry, it’s all dry – now. My daughter has a skin condition. When it flares up, lotion usually does the trick. Not this time. We had to resort to long soaks in the tub. To keep her occupied, I sat with her and read books. I tried to have her read to me, but the book was heavy and it crept lower and lower until it got wet. That was today, let’s back up to last night. What she doesn’t know is that I’ve researched the skin condition more than what’s needed. I’ve seen the pictures. I know the possibilities. She has a very mild form. VERY mild. So mild, most people don’t even know about it. So mild, I’ve never showed her pictures and probably won’t tell her the full name so she won’t google it. When I heard she had blisters, the worst images popped into my head. The worst. Panic crept up my throat and my stomach dropped to my toes. In the middle of facebook-messaging my friend, I asked her to pray. She gave me words of Jesus to keep me sane. I asked my daughter to please show me. Why? It’s her body. She’s at that age. She didn’t want to go to the doctor or use a lotion that would burn. But I had to make sure she’s OK. So I brought Daddy into the picture. Or the idea of him. I gave her choices so the element of control would be back in her hands. I repeated my request in a not-gonna-budge tone. She sat on the bed with me. I gently looked. And started breathing. It wasn’t good, but it wasn’t that bad. Two months. Two months she’s suffered in silence. I quickly found the oatmeal bath packet she received from her skin camp. Because it was from camp, she readily agreed to use it. 10:30 at night, I’m running her bath water. I haven’t run a child’s bath water in years. I let her roll up her pants to use her feet to swish it around. She let me sit with her and read to her. We bonded over an oatmeal soak and books. Today she asked for another soak. I was invited to sit with her. This time she needed to soak for 40 minutes. I was invited. We did schoolwork. In the tub. My thoughts wandered to how blessed we are. She can wear clothes that don’t irritate her skin. She doesn’t have to sit in uncomfortable seats all. day. long. If she wants a bath at 10 am or 10 pm, we can do it. It doesn’t keep her home from learning. She can rest when she feels bad. Lotion when she needs it. And mom can stop class to google “bath recipes” when we run out of oatmeal bath packets. And what better lesson than make your own bath remedies? Oatmeal has anti-itch properties. (Scientific term: avenanthramides) To make your own oatmeal powder, just put some non-instant oats in a blender. When it’s powdery, it’s ready! Epsom Salt is high in magnesium and draws toxins from your body. It also softens the skin. Many athletes use this to loosen tight muscles. Baking Soda soothes dry, itchy skin. It also detoxes and has alkalinizing properties. Great for allergic reactions. What are your favorite bath recipes? Posted in Getting Healthy, Parenting, Uncategorized and tagged Bath recipes, detox bath, Epsom salt bath, Essential oils, oatmeal bath. Bookmark the permalink. I did it. I created a facebook author page. I’m this much closer to being a published author! It’s also another way to connect with my readers! Oh how fun! Will you like me, please? Posted in Uncategorized and tagged Author page, Kimberly A. Vogel - author. Bookmark the permalink. With the winter weather oppressing much of the nation, and the Winter Olympics keeping us excited, there is celebration in uncomfortable times. Our family celebrates with hot chocolate bars, ice cream, and southern snowflakes. Southern snowflakes?! Yes, we did close our southern cities for ice, or snow, or what many down here call “snice” (mixture of snow and ice – or really, slushy ice, but our kids want snow bad we pretend). Our family has it’s own version. Take some packaged, uncooked flour tortillas and cut them into snowflake shapes. What is your favorite Winter Celebration idea? Posted in Uncategorized and tagged Celebration, Southern snowflakes, Winter Olympics, Winter storm. Bookmark the permalink. I’ve thought about you many times since we met you in the park. With your hood over your ball cap and ear buds blocking out the world, you allowed us a glimpse of your heart. My husband approached with small talk, which involved fishing. Then we asked if we could pray for you. When we told you a group from church walked the park to pray for people, your eyes lit up just enough for us to relax. Your words changed to “church speak” and we knew you had a background enough to know the right words. I wonder if you know how much your face and voice changed when you started talking about God. Even the sound of your voice lightened. It felt like your mind realized you know the answers to the questions you’ve asked yourself, but your heart doesn’t yet. Even through your church speak, you let in enough real words for us to see your heart. A heart closer to rebellion than to relationship. A heart that hurts others. Just like any heart has the capacity to do. You welcomed, invited, and encouraged us to pray for you. We did. We prayed for your heart. To seek God and end rebellion. We prayed for your marriage. For you to go back to church and develop a strong desire for God. And we will continue to pray. Because, Joe, your hoodie, hat, and ear buds might close out those around you, but they won’t close out God. He loves you and wants a close relationship with you. Thanks for letting us pray with you, it reminded me just how much we all need Him, and that we already know the answer to the questions we ask. (it’s Jesus!) It also reminded me how easy it is to bless others – even strangers in the park. If our paths never cross again, I’ll be searching heaven for you one day. Posted in Uncategorized and tagged pray, step of faith, witness. Bookmark the permalink. Tonight we declared family night and as a special treat, I allowed the kids to eat dinner in the living room. What special event brought this declaration? 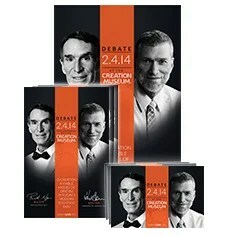 The creation debate between Bill Nye and Ken Ham. There are so many thoughts running around in my head. But two things stood out. Each man spoke passionately about something I agree with. Bill Nye passionately spoke about the need for America to invest in science in the schools. We will fall behind other countries if our schools do not teach science and encourage students to pursue the advancement of knowledge. However, the ways to go about this, we probably would disagree on just as strongly. Ken Ham passionately spoke about how the secularists are imposing a religion on our students while they strive to keep religion away. The slide located at 56:30 and 56:53 scared me. Watch it, ya’ll. Then come back and leave your comments. One last thing – Ken Ham stood on the Word of God as the infallible word and truth. We need more of that. Amen. Posted in Uncategorized and tagged Bill Nye, Creation debate, Ken Ham. Bookmark the permalink. Posted in Uncategorized and tagged inconvenient, parenting fail, Time for teens. Bookmark the permalink.